How two financial advisors at UBS differentiate themselves from the herd through a steady course of Marketing as Service. He was harder to shake than a lamppost and half as bright. Another financial advisor spouting out his expertise into the phone before I’d even downed my first cup of java. I didn’t know the guy from Adam and he sure as heck didn’t know me. Nonetheless, he droned on until my patience expired, forcing a polite but stern, “thanks but no thanks,” followed by a hope-ending click. 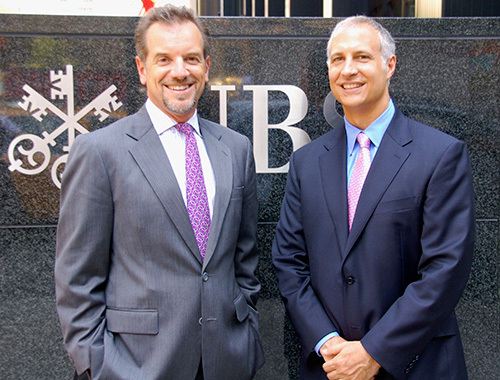 Later that week, I attended my fifth Media & Technology CEO Summit put on by my friends Tom Livaccari (left in photo) and Ken Shapiro, two UBS financial advisors who are about as far from the cold-calling yacker as you can get. Long-time proponents of the approach I call Marketing as Service, The Livaccari Shapiro Wealth Management Group offers a textbook case on growing your business by selling less and doing more. Final Note: Having been in their client’s shoes, Livaccari and Shapiro have built a successful practice by simply doing what they wish others had done for them when they were entrepreneurs. Its not rocket science. Just smart marketing. For more insights on their approach, see the Q&A with Shapiro on TheDrewBlog.com.